This book is a YA science fiction, and lately I’ve been reading quite some science fiction. But it just doesn’t speak to me, although I cannot point out precisely why. Maybe it’s all the 80s references this book is supposed to have. Maybe I’ve just read too much dystopia lately. In any case, it just didn’t interest me enough to kick out a book from my TBR to add this one instead. In addition to that, I have read quite some “meh” and some negative reviews about it. When I lived in the US, if people caught me reading a book, they asked if I’d read James Patterson and gasp in shock when I said no. One time I smiled politely while holding my medieval French feminist book and added that I normally read other genres (partially true). Do you guys also get annoyed when people find out you like reading and then are shocked you haven’t read this particular book or author? Anyways, I feel that James Patterson is so hyped, and yet for some reason, the plots of his books so far haven’t interested me at all. By now I think this book isn’t too hyped anymore, but back when it came out, it was all I heard about. I’m not sure why, but I don’t like the cover of this book at all. That is not the reason why I won’t read it, of course, but doesn’t help either. But the plot didn’t make me feel like I absolutely need to read this, it sparked only a mild interest. Secondly, I’ve read many reviews saying that, at best, this book is ok. I know opinions are personal and I could end up loving it, but it surely didn’t help making me want to add it to my TBR. This is actually on my “maybe one day, if I run out of books” list. Which, in practice, means it has little chance to actually make it. It’s not that the story doesn’t interest me, it looks really good, actually. It’s just that I read The Mortal Instruments, was very entertained by it but not much else. Cassandra Clare’s writing style didn’t wow me and I couldn’t connect much to the characters. It was a good book series but not an awesome one (for me), and I feel like there are books I want to read more than this series. I keep telling myself to give this book a chance, it keeps getting recommended, more specifically on Booktube. From what I can tell from the blurb, it seems to be a paranormal romance with Aliens and adventure and a science-fiction feeling to it. Honestly, it looks to me like it will be Twilight with Aliens, which isn’t quite my thing. I have nothing at all against trashy romance novels (I loved Kiss of Deception, for example), but I need to be in the mood for it and it should be well executed – I find trashy romance to be one of the hardest genres to pull off. I’ve never read a paranormal novel with Aliens, so I am curious, but I am also very hesitant to buy it. I’ve been seeing this book around for a while now, and many reviews about it… a lot of those are quite negative, and it seems that the book focuses on high-school stories about the villains, which confused me a little and reminded me of Prom Nights from Hell, which I read a long time ago and didn’t particularly love. So, putting all of those thoughts together, I have decided not to read this. It seems like a book that might be entertaining but not much else…. 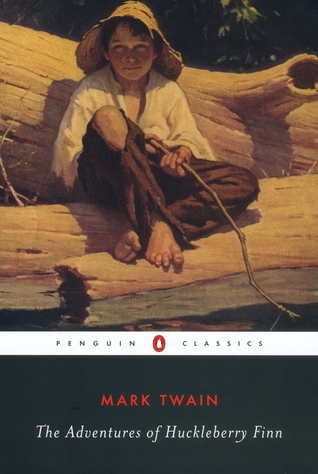 I read The Adventures of Tom Sawyer, and really enjoyed it! I love Mark Twain’s writing (his humor on The Awful German Language is so good I was laughing out loud in a bus). It’s just… I’ve already read and heard about so many “boy goes in adventure” stories I just feel that I want more original ones. Maybe this book is awesome, but I’m just a little saturated there: The Adventures of Tom Sawyer, Treasure Island, Lord of the Flies (I know it’s a satire, still counts), Hatchet, The Goonies… feels like I’ve read this book already. i reeeeeally struggled with “the adventures of huckleberry finn”. it wasn’t a book for me! Everyone reacts the same way when I say I don’t like James Patterson. I’m just NOT a fan! As far as the Cassandra Clare book – that was literally the only series of hers I did enjoy! It was very well written and easy to connect with emotionally. I’m with you in the Cassandra Clare and Lux canoe. I think I tried Mortal Instruments and it was not for me. I had Lux on my TBR for a while and I think I’ve accepted that I’m probably not ever going to read it. I probably wont read Ready Player One either but I might see the movie if reviews are good enough. Great post! The only one I’ve read is Clockwork Angel. While I’m not a fan of Cassandra Clare’s work, I don’t particularly dislike them as well. They’re just kind of there. I never finished the series because it kept falling down in my tbr list, haha. I like you system with a TBR with 100 books max, I might start doing that as well. It is? Omg 😂😂 I’m glad to know! 😀 thank you for letting me know! I had no idea what his writing was like. Maybe like Michael Crichton (Jurassic Park, Timeline)? It´s good to have a plan like that. I have decided to only have at most 20 books on my TBR list at all times. When I have read one och two I can add new ones and this way, like you said, you only have books you really really want to read on it. I´m never going to finish The Mortal Instruments BTW, didn´t like the first book at all which is weird because I like the TV-show but I heard its a bit different from the books. I know that weeding the TBR list can sometimes be difficult to do. I hope that sometime in the future you do decide to give Ready Player One a chance. Yes, there are a lot of 80s references in the book, but it is a really good read. And the movie will be out at the end of March 2018. I will consider ☺ thank you for suggesting it! hehe I have read some Patterson books (the Maximum Ride books were everywhere when I was younger) but I have zero desire to read anything else by him now. And yes I really relate about people coming up to me when I’m reading and quizzing me about, say, Dan Brown. And I read a snarky review, chapter by chapter of Obsidian, I have no desire to read it after that- the quotes were just too silly. 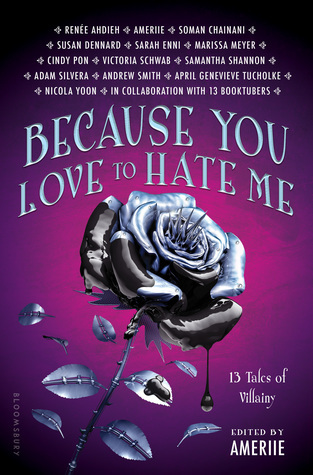 I doubt I’m gonna read Because I love to hate you either. Great post! I was coming to comment and Shanah beat me to it! I was meh about Mortal Instruments, but loved Infernal Devices. Even though I loved it, I still don’t feel the urge to read anything else by Cassandra Clare. I definitely thought the historical/steampunk aspect helped. I love seeing these posts. It’s always interesting to see what people are not interested in compared to the masses. Sometimes I think we get so wrapped up in the hype that we forget to make our own decisions and follow our own preferences. True. Different people, different tastes. Definitely agree with you on Cassandra Clare’s series (I also didn’t continue The Mortal Instruments after reading the first book because I feel there are better books out there), I just can’t get into them. 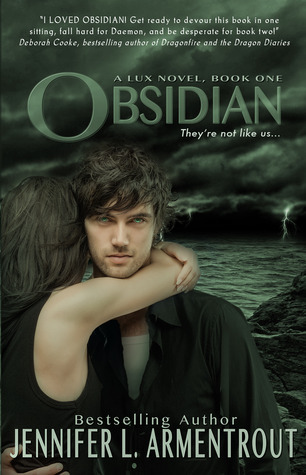 Also, I liked Obsidian, but I read it a while ago and I feel like reading it now wouldn’t be as enjoyable. I also didn’t finish this series because my tastes differ a lot now from my tastes back in 2014. Thank you!! Yeah, I’ve heard both great and bad things about Ready Player One… I’m thinking of committing the atrocity of watching the movie first and then reading the book, if I like it 😂 I will look forward to your review of it, should you decide to read it!